Sebamed Baby body milk prevents dryness of the skin, promotes the development of its natural defences and protects against negative environmental influences. With the pH value of 5.5 Baby sebamed body milk is clinically proven to promote the development of the acid mantle and consolidates the resistance of baby's delicate skin. Explore the entire range of Lotions & Creams available on Nykaa. 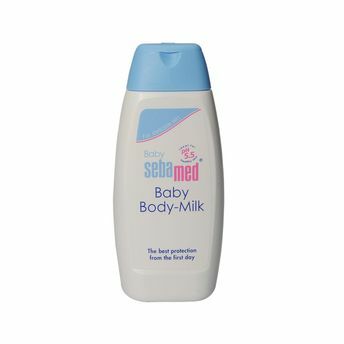 Shop more Sebamed products here.You can browse through the complete world of Sebamed Lotions & Creams .Alternatively, you can also find many more products from the Sebamed Baby Body Milk range.